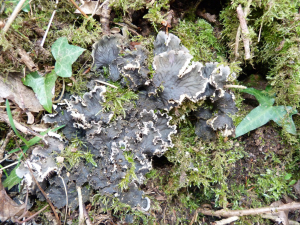 Large lichen growing on soil. Grey top, white underside with viens. rhizines with bottle brush "hairs"